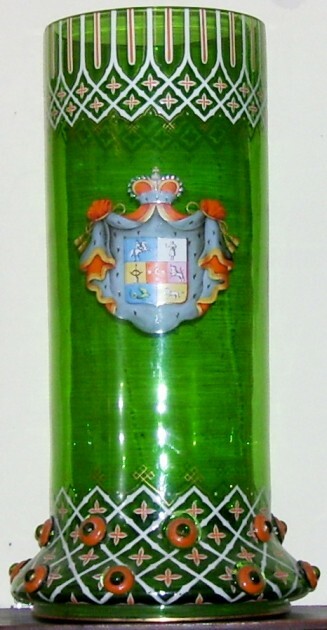 Blown and stained blue glass pokal with the engraved Russian Coat of Arms. This is a newer piece . 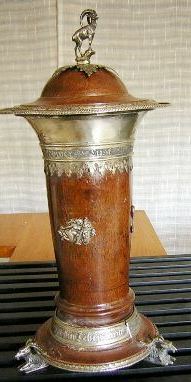 Basically it is a tall (over 7 inches usually) cylindrical beaker with a matching set-on-lid, and a pedestal base. Those vessels without the pedestal are called “Humpens.” Very many pokals can be found without their original lids. 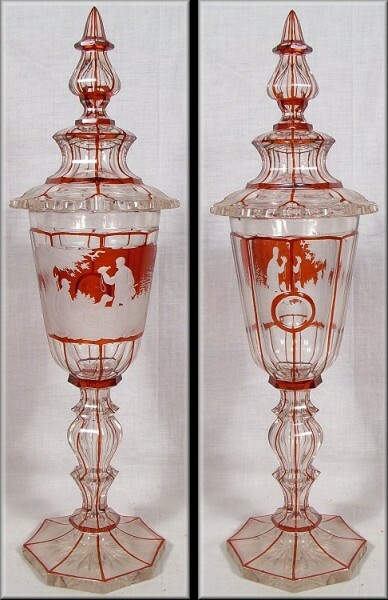 Most seen are made out of glass and mostly made for decoration rather than use. [L] Unknown maker, probably Eggerman’s [R] Eggerman. 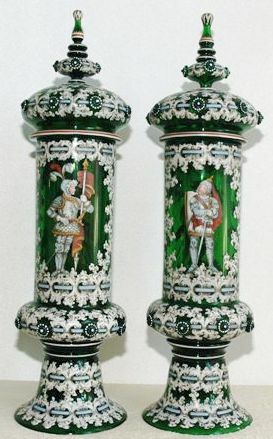 One can tell by the colors used and the dart pattern at the top. 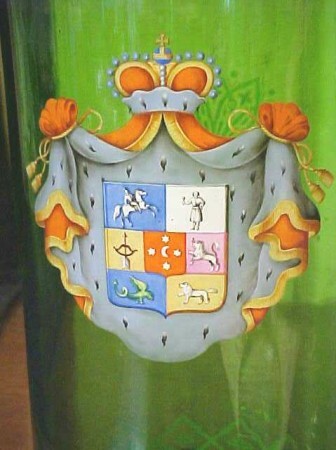 Extremely bright and colorful Armorial pokal. Probably Josephinenhutte (due to the shape of the prunts. A giant, 31 inch tall [!] 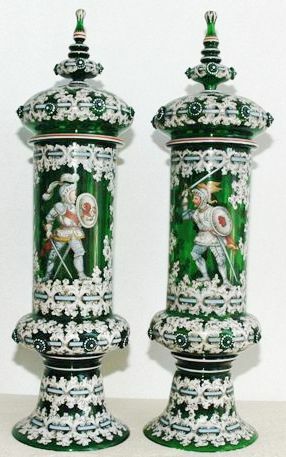 J. Lichtinger’s (Munich) pewter over Theresienthal’s green-yellow glass pokal. [FWTD] Circa 1885. Gambrinus = The King of Beer as the four inch pewter finial. Humpens are large can shaped glass drinking vessels. Most all of them had matching lids when they were made. As with pokal lids, they get lost and broken easily. A massive. 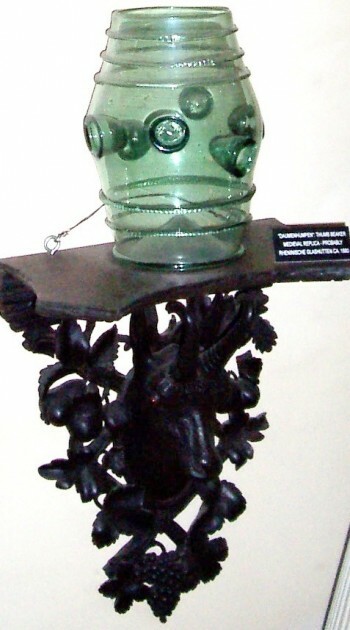 15 inches tall, blown green glass Humpen done by Eggerman’s workshop. 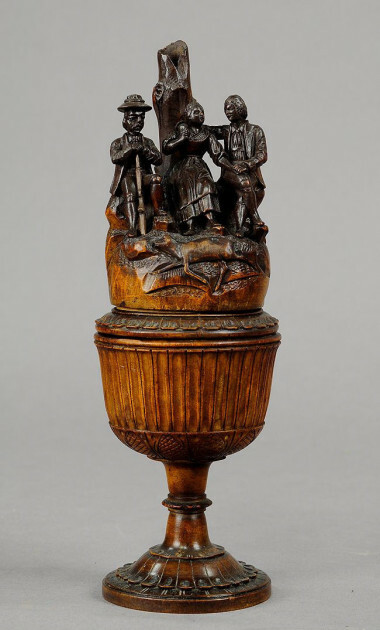 A “Heckert” Pokal or Humpen (you can decide) with enameled scenes of one of the Electors of Germany, Dated 1654 but made in the late 1800’s. 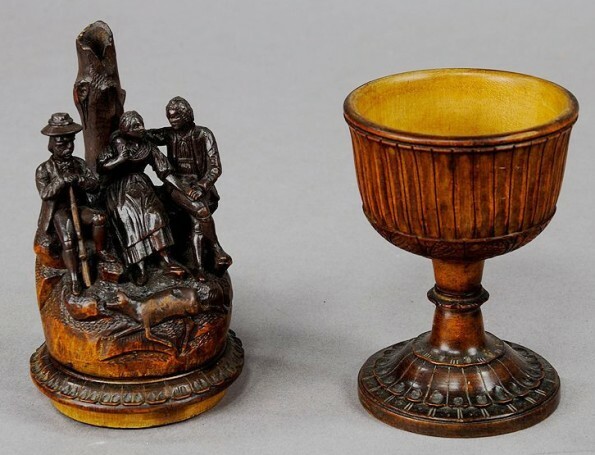 These type pieces are Heckert’s specialties. See compendium this web site. Highly collectable.